Twitter developer Jesse Stay blogged about how Twitter changed their api and once again did not proactively tell developers. It is brewing a discussion from developers trying to communicate their frustration to Twitter with 84 comments last I checked and got him onto the techmeme leaderboard. Yday, I led a discussion at the Community Leadership Summit (#CLS) in San Jose about how communities are being extended to social ecosystem and twitter is facing just that today!!! First I define "A Ecosystem is all online touchpoints where your customers congregate". Earlier, customers were contained on your web site with forums and mailing lists. Then came social media where you added blogs, wikis and embedded pictures and videos from flickr and youtube into your web property. Now it is impossible to contain your customers on your site. They are on all social mediums. So a community manager has to go where customers are and engage in conversations there! My savvy audience at the Community Leadership Summit discussed the complexity of tools to do this, the time and resource limitations to monitor all blogs and social sites and the fragmentation these conversations caused when they were trying to build one cohesive community. Twitter API team has many social media footprints to engage with developers! 1. An active developer forum with 4600 members where this is not brewing as the hottest topic. 2. A customer support twitter handle @twitterapi, which they do a pretty good job of monitoring and responding to users. 3. A wiki since Nov08 which the api team update often from their conversations on the forum or twitterapi. 4. They have a new api blog since mid June09 which is announcements from the api team. 5. I found Twitter API team has an announcement group on Google for Api releated notices. 6. Increasingly, the twitter api team is making time to visit with developers face to face. Yet, developers are screaming and discussing their new api change on Jesse's blog today! 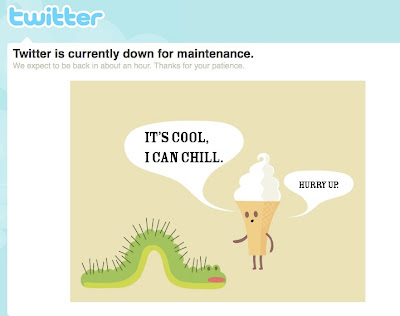 Twitter api team hasn't arrived on the scene (atleast responded to it there yet). So when your customers talk among themselves elsewhere, its your ecosystem, whether you like it or not! The good news is that as long as your community is talking they still care about you and are ready to engage and help make the community better. 1. Engage your evangelists. Jesse has been a vocal voice of reason for the developer community and this is not the first time. Top developers are posting comments not only because the issue resonates with them, but because they respect Jesse. 2. Setup a listening post to find where there is chatter about your topic and watch where your customers actively engage in conversations. This can be done by a social media metrics tool like SM2. 3. Educate your community to come and talk to you where you are most comfortable to answer their questions. Go where they are and bring them to your forum or blogs by acknowledging their concerns and directing them with a a link to a tweet or blog post or brand page. How can twitter handle this conversation everywhere? Are you a community manager, how do you handle your customer conversations across ecosystems? Tweet me @sujamthe or post a comment!! !